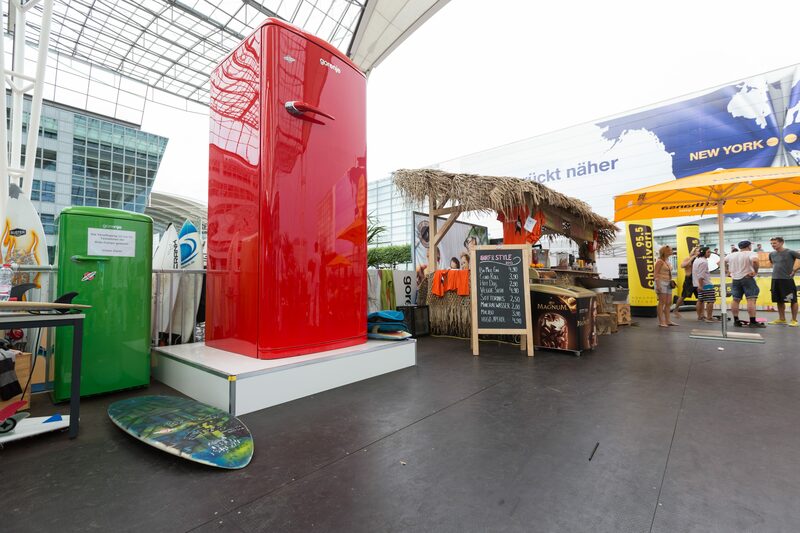 This year Gorenje in Germany brings colour(s) back into play. The 2012 campaign “Year of Colours” continues with a variation on the theme for 2013, “Colour Your Home”, again filled with colour and a big focus on design. With this campaign Gorenje is making Germany more colourful and helping build positive acceptance of the brand with partners and consumers alike. The range of colourful Gorenje offerings includes a handsome selection of over 60 different models from washing&drying and cooling&freezing. Gorenje’s roadshow for the Colour Your Home 2013 campaign kicked off this summer in the German city of Nürnberg, and runs through mid-September. Part of the campaign consists in presenting these appliances to trade and retailing partners with a focus on consumer electronics, with daily visits to each partner. The public too will have plenty of opportunity to get on the bus and have a look at the colourful Gorenje offerings; and get in on the giveaways and raffle, too. 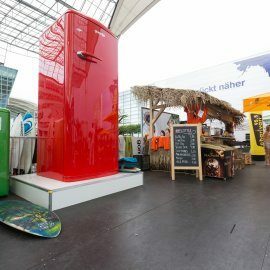 One of the big pulls at this year’s 'Surf & Style' event at Munich airport was a faithfully reconstructed giant retro fridge in vibrant red, with an impressive stainless interior, standing a whole 3.5 metres. For much of August, Munich Aiport’s MAC Forum was again transformed into a surfer’s paradise, the highlight of which was the Stationary Wave Riding event, where the elite of the world’s river surfers met for the coveted championship title – which Gorenje supported this year together in cooperation with local partners. During the IFA fair in Berlin (6-11 September) Gorenje will also be seen in Berlin’s city center near Kurfürstendamm, at the IFA public event “City West celebrates IFA 2013”, which will feature a live program and see thousands of visitors.